The Morey Boogie Pro-Line Red Edge was the most state-of-the-art bodyboard when it was introduced. 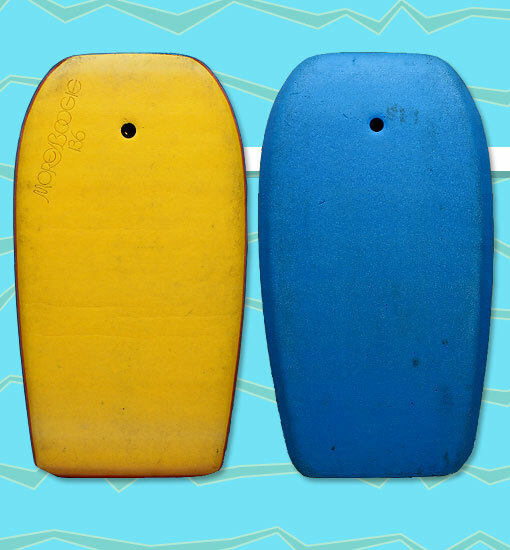 Up until then, bodyboards typically featured a bare foam bottom, but the Pro-Line introduced a new concept: a HDPE bottom skin. The so-called "Red Edge" was an additional layer of HDPE on the rails that was sandwiched between the blue bottom and the core, creating a visible red line down the length of the rail and making it the stiffest board available at the time. Still labeled with the Baha'i numbering system, the 136 version was produced in 1979. Photo: Shane Griffiths.